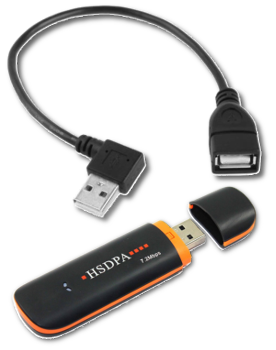 3G Dongle is a small USB modem that through the use of a SIM card allows you to connect to the mobile data network to obtain internet access and make use of the related services offered by the provider with which you sign the contract. This kit allows you to add 3G functionality to Zeus Link Wi-Fi. It’s provided with 25 cm patch USB 2.0 standard cable with connectors Type A Male to 90 ° – Female 0° to allow an easy installation of the 3G dongle on the USB port of Zeus Link Wi-Fi device, in order to ensure a footprint such as to allow the closure of the electrical panel door hosting the devices.